Sub-calibre 35mm projectiles for Oerlikon-Contraves ammunition: Left: FAPDSfor air defence. Middle: APDS-Tfor anti-armour use. called arrow projectiles, notably by the Germans reduce the amount who developed this Pfeil-geschoss concept in the Second World War with HE projectiles in order to achieve very long range in large-calibre artillery weapons. APFSDS penetrators with an L/D ratio of between 10:1 and 20:1 are in common use in smooth-bored tank guns, but less so in automatic weapons because their stability is upset by being spun by the rifling. Muzzle velocities of over 1,000 shorter and wider m/s can result in rotational rates of 100,000 rpm; than those designed spinning at these speeds, the slightest deviation from for smooth-bore guns. 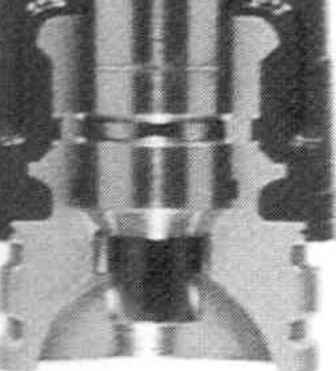 To keep the overall length of precise symmetry in the construction and location the cartridge down to that of standard ammuni-of the penetrator within the sabot will result in it tion, the long penetrators are usually buried deep bending out of shape, and the longer and narrower within the case and are fitted with 'puller sabots' the penetrator, the more difficult that is to control. 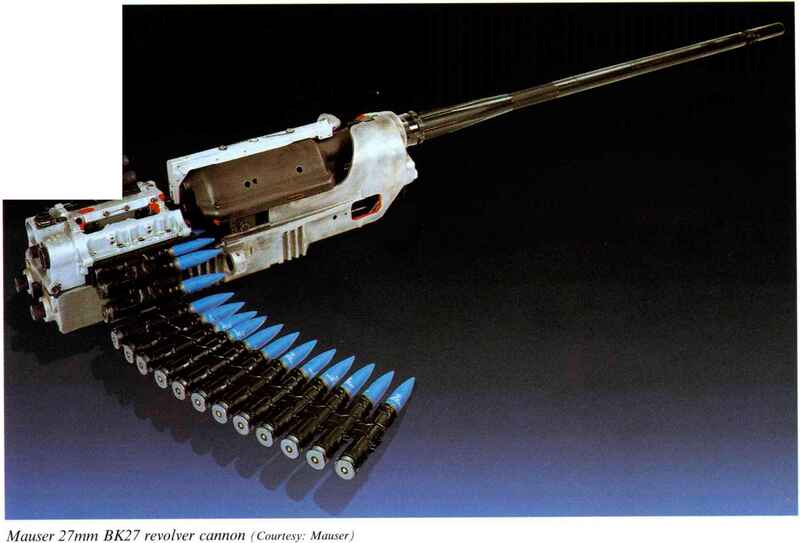 which grip near the front of the penetrator and pull In these smaller calibres, some degree of rifling is it up the barrel. These technical difficulties are being overcome, criticised for creating toxic fumes around the target, mainly by fitting the sabot with slip rings which with obvious long-term health hazards. Figures quoted for the thickness of armour penetrated by particular AP ammunition need to be treated with caution as they are affected by several variables. One is obviously range, as performance reduces in line with velocity (less of an issue with APFSDS which slows down very little even at long range). Another is the type of armour being attacked, some being more resistant than others. The third main variable is the angle at which the shot strikes the armour. Typically, a shot striking at 60° has only 80% of the penetration of one striking at 90°; at 45° this reduces to 66% and at 30° to 45%. Two of these variables are normally dealt with in the standard way of describing penetration, which is to list the thickness penetrated at a given range and striking angle, as in 75mm/500m/60°. An unwelcome complication is that there have been two different conventions for describing striking angle: from the horizontal or from the vertical. A hit perpendicular to the armour surface (the optimum for penetration) is described in NATO terminology as being at 90°, but in the past it has sometimes been described as being at 0°.